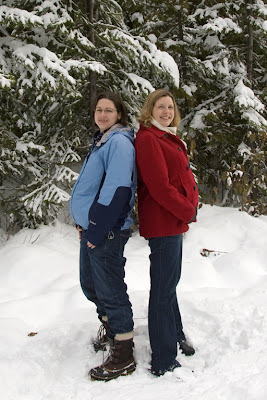 Welcome to Married Life: Wordless Wednesday: Double Bump! We didn't think we would have a chance to get our baby bumps together, but when my sister-in-law decided to come out for part of Thanksgiving we got to compare! She's 8 weeks ahead of me and still bigger, but probably not for long!